We love legal tales that relate to poker and gambling, particularly the ones that don’t necessarily make a lot of sense on their surface. That’s what’s up with one of the latest such stories to emerge, where a couple of gambling-world businessmen from Canada have threatened new bwin.party owner GVC Holdings Inc. with a class-action lawsuit over an alleged business deal gone sour. 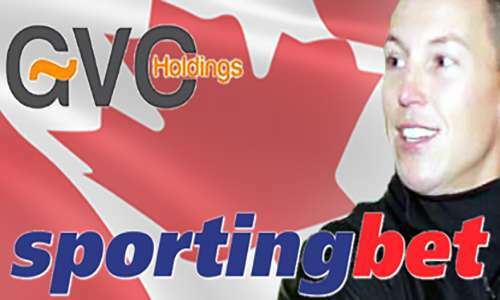 The accusations being made predate GVC’s interest in bwin.party, however, and instead have to do with the company’s operation of the long-running Sportingbet brand in Canada for a full decade, from 2005 to 2015. A Canadian commercial-law firm, Findlay McCarthy PC, has published a form of attorney advertising in which the firm states its possible intent to sue GVC on behalf of all Canadian customers of the site during the above period. The reason for threatening the lawsuit? That’s where the story becomes curious. According to the pitch for possible victims published by Findlay McCarthy PC at www.gvc-cadclassaction.com, GVC operated its Canada-facing operations via an unofficial partnership with a third-party firm, 37 Entertainment Inc. (37E). 37E, as it’s usually described, is run by gambling-industry veteran Barry Alter and a one-time Swiss national hockey team player, Doug Honneger. And that leads to more of an explanation. In a real, actual lawsuit filed last year by Honneger, who has dual Swiss and Canadian citizenship and lives and works in Montreal, he claimed that 37E had already been running the show for GVC’s Sportingbet brand in Canada in 2014 and 2015, via some sort of oral, unofficial deal. And when GVC won the bidding war last year to acquire bwin.party, which also operates in Canada, GVC found that it really no longer needed 37E’s services, which amounted to a turnkey operation of Sportingbet’s Canada business. So sayeth Honneger. That real, actual lawsuit is scheduled to first be heard this July. What the case is likely to hinge upon is whether there’s proof that Honneger, Alter and 37E had actually been running all or some of Sportingbet’s Canada business in 2014 and 2015. Which brings us back to the threatened class-action case. The not-so-veiled threat made against GVC on the Findlay McCarthy PC legal site involves GVC’s own disclosures about its business partners… or lack thereof. As a publicly-traded company on the London Stock Exchange, GVC is bound to report all its significant partnerships and business dealings, and it would seem that allowing a third-party company to run the Canada part of the business might fit that bill. … The firm is investigating the activities of GVC in Canada to determine if it has violated Canadian law by allowing a third-party company – 37 Entertainment Inc. (37E) and its partner, Barry Alter – with whom GVC claims to have had no contractual relationship, direct day-to-day control over its Canadian business and its customer data. The firm is also seeking to determine whether GVC would have provided 37E and Mr. Alter access to confidential customer information, including, but not limited to, confidential personal data, customer betting history, financial and payment methods information. GVC has repeatedly stated both in its public filings in Quebec, Canada and throughout UK media, including The Independent, London Evening Standard, The Times, and The Telegraph, that it maintained no formal agreement or business relationship with 37E and Mr. Alter to run its business in Canada. All very curious. See, class-action lawsuits are generally brought on behalf of a class of victims who have suffered some sort of loss. While it’s true that GVC very likely skirted a whole bunch of regulations in both Canada and the UK if Honneger’s and 37E’s allegations are true, it’s hard to see where Sportingbet’s Canadian customers are victims. The Findlay McCarthy legal ad purports that GVC shared consumer data with 37E in an unauthorized manner, but there doesn’t seem to be any allegations that the data itself was used in illicit ways. Such illicit use, of course, would represent real damage to those Sportingbet customers, and provide a valid basis for a class-action lawsuit. Then again, no class action has been filed to date. It’s all smoke and mirrors, and perhaps with good reason. The pieces don’t quite add up. We’ll be watching for more on this tale, just to see what comes of it. It’s unlikely to derail GVC’s ongoing bwin.party acquisition and restructuring, though it wouldn’t be a shocker to see some sort of regulatory inquiry made into whatever actions might have preceded Honneger’s lawsuit last year.